With Google+, you can share what you want with just the right people. That might be pictures from your team offsite or an article from your favorite new blog. Starting today, you can also share the work you create and store in Google Drive, and people will be able to flip through presentations, open PDFs, play videos and more--directly in the Google+ stream. Forms shared in the stream, like feedback surveys or lunch order polls, are interactive as well and can be completed with just a couple of clicks. 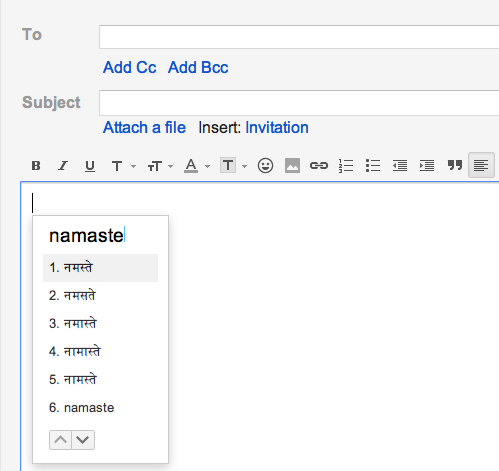 To share, paste the link to the Drive file directly in the share box inside Google+. And, if you use Google Apps for Business, Education or Government you can make the post restricted to ensure that the discussion is only visible to people in your organization. Search. Click. Call. Get connected with your local expert today. Whether you’re evaluating Google Apps, ready to make the move, or already a current user, we’re making it simpler for you to find the local, specialized, and trusted help you may need with the new Google Enterprise Partner Search. Search, click, and make the call to see how Google Apps Resellers can make your experience with Google Apps even better. With over 6,000 Google Apps Resellers around the world, Enterprise Partner Search lets you preview the capabilities of a partner and find one that offers the services you’re looking for – from setup and user training, to email migration, management services, and support. It’s simpler than ever, search for a partner today. Editors note: This morning we failed to live up to our promise, and Google App Engine applications experienced increased latencies and time-out errors. For a full report of the incident, visit the Google App Engine blog. We know you rely on App Engine to create applications that are easy to develop and manage without having to worry about downtime. App Engine is not supposed to go down, and our engineers work diligently to ensure that it doesn’t. However, from approximately 7:30 to 11:30 AM US/Pacific today, about 50% of requests to App Engine applications failed. Working with Google and Analysis Group, MIT research scientist Andrew McAfee recently conducted a study to understand the comparative costs of a business moving to the cloud versus remaining with a traditional on-premise IT system. In this comparative cost model, McAfee finds that the typical small- to medium-business (SMB) will significantly reduce its IT costs by doing away with its on-premise technology and moving to the cloud. For example, a business with 16-100 computers can expect to save 37% by moving to the cloud – even if there’s no IT labor reduction. With savings achieved by moving to the cloud, these businesses are able to invest in areas that help expand or strengthen their business, whether it’s opening a new branch, starting a new product line, or hiring more people. Bill Hipsher, Director of Business Development at USstoragesearch.com confirms, "Over a one-year period, Google Apps cost one-quarter of what we were spending on our on-premise IT before moving to the cloud – and over our business lifetime, it drops to just one-tenth of the cost. The hardware, software and time savings helped us expand our call center, which led to the creation of more than 30 new jobs this year." In his study, McAfee also notes that SMBs' technology use is a strong indicator for the future of IT. Because SMBs are more flexible in their decision-making and aren't bogged down by legacy costs, they're able to choose an IT system that best suits their business. Thus, moving to the cloud frees up money for SMBs to drive business and job growth, and can set a precedent for how large businesses adopt cloud technology. At Google, we’re proud to work with SMBs across the country to help them save money and move to the cloud. Visit our website to learn more about moving your business to Google Apps and explore McAfee’s comparative cost model in Google Sheets to adjust and tailor the model to your business. Editors note: Today’s guest blogger is Richard Ng, IT director at Playworks, a nonprofit organization dedicated to improving children’s health and well-being through increased physical activity and play. See what other organizations that have gone Google have to say. For more than 16 years, Playworks has been working with elementary schools in urban communities to help increase students’ physical activity during recess and throughout the day. We are the only organization in the country to send trained adult program coordinators into low-income schools, where they turn recess into a fun, positive experience that helps kids and teachers get the most out of their school day. Headquartered in Oakland, California, Playworks has coaches and staff deployed at 380 schools, reaching 170,000 students in 23 cities across the country every day. In addition, our training staff serves another 400 schools each year all around the country. As the director of IT, my job is to make sure that every one of our staff has access to the resources they need to be successful at their schools. For our program staff, who visit 2-3 different schools every week the ability to get to their documents, and share and collaborate with each other is vital. Playworks relies on flexibility, mobility and access to information anytime, anywhere – Google is helping us achieve that. In 2011, I attended Google I/O, where I had my first encounter with the Chromebook. 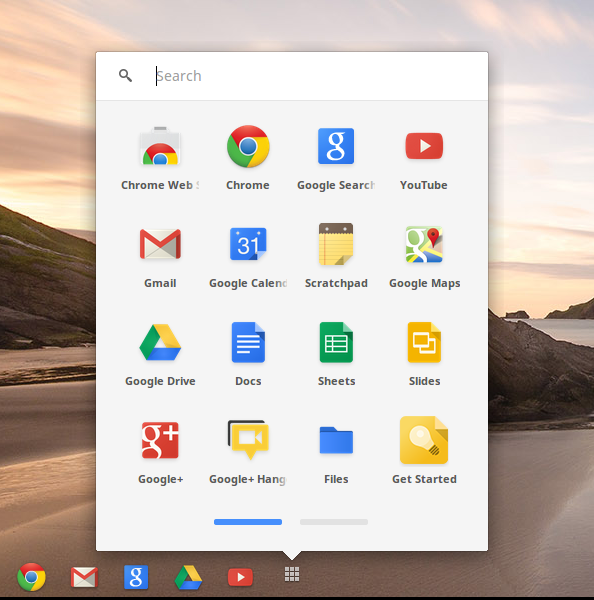 I knew immediately that Chromebooks and Google Apps could be the answer our tech needs. We deployed a small, successful pilot program in early 2011, and today we have nearly 80+ Chromebook devices in use in the field, with more planned next year. With a simple two-page instruction document that we created internally, our team could work, share and collaborate from any of our 23 cities virtually overnight. Because Chromebooks don’t require manual software updates or an IT support staff to troubleshoot, my team can focus less on maintenance and more on strategic IT projects, and ultimately, the kids. As a non-profit organization, cost is a major factor in every technology decision. The value that Google Apps and Chromebooks have delivered is unprecedented. Playworks has been able to save tens of thousands of dollars since we implemented Google Apps and deployed the Chromebooks. Based on estimates of what we previously spent on software and maintenance versus what we are spending now, I estimate we will save $50,000 - $70,000 per year. That translates to tremendous savings that can be redirected to improving our programs for kids. At the end of the day, while we are working to improve the health and well-being of children by increasing opportunities for physical activity and safe, meaningful play, Google is helping our team access the technology they need to transform recess in the communities that need it the most. Google Drive is a place where you can create, share, collaborate and keep all your stuff. Of course, there are times you want to start a new document right away–say, to take notes in class or prepare a last-minute presentation for your boss. To make it even easier for you to create stuff quickly, Documents, Spreadsheets, and Presentations–now called Docs, Sheets, and Slides–are now available as apps in the Chrome Web Store. 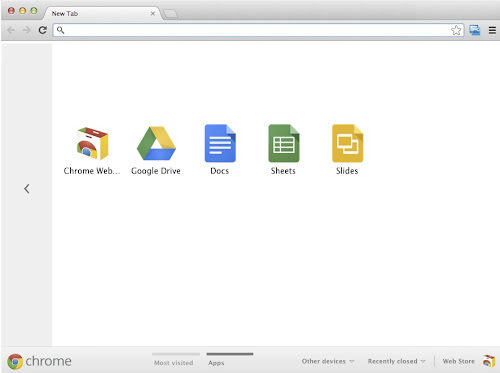 Once installed, shortcuts to these apps will appear when you open a new tab in Chrome. If you use a Chromebook, you’ll see Docs, Sheets, and Slides in your apps list by default following the next update to Chrome OS in a few weeks. Today on the Chrome blog we announced the new Samsung Chromebook for $249, an even more affordable way to bring the the web’s vast educational resources and apps to your students. At only 2.5 pounds and 0.8 inches thick, the new Chromebook zips along, booting in under 10 seconds and playing high resolution video beautifully. It automatically receives the latest security updates from Google and doesn’t require any manual IT set-up, so additional devices won’t mean skyrocketing support costs. A recent IDC sponsored white paper showed that Chromebooks for Education require 69 percent less labor to install and 92 percent less labor to support, delivering big cost savings by reducing the need to hire additional IT staff. Our goal is to make computers more accessible to everyone and we hope that the new Chromebook makes it even easier for you to bring the power of the web to your classroom. Editors note: Join us for a Hangout On Air on Tuesday, October 23 at 11:00 am PDT/ 2:00 pm EDT/ 7:00 pm BST off of the Google in Education Google+ page. We’ll do a quick review of the details of the new device, compare it to other models, and take your live questions. Google Maps Tracks API allows an organization to build applications that can store, display and analyze GPS data on a map. The API is built on top of Google’s reliable cloud infrastructure and offers specialized features such as geo-fencing. Google Maps Geolocation API enables an application or device to determine its own location without the use of GPS by looking up the locations of nearby wifi access points and cell towers. By limiting GPS usage, a device can save battery life and work indoors or in remote areas. The Google Maps Tracks and Geolocation APIs allow an organization to develop customized location-based applications to meet specific business needs. The Google Maps Tracks API, for example, can provide a fleet management company with tools for analyzing data from past and present deliveries. By seeing routing information on a familiar Google Map, they can determine which routes can save time and fuel. Using the Google Maps Geolocation API, the fleet management company can equip its vehicles with advanced positioning capabilities. Even in dense city blocks where GPS dropout is common, a dispatcher can still locate its fleet. 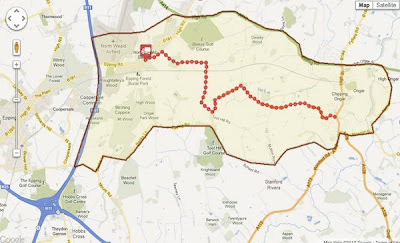 The Google Maps Tracks API allows businesses to take advantage of a technique called geo-fencing, where a company can create a virtual region on a map to notify a device when it enters or exits a predefined area. For example, the same fleet management company could set up notifications that would automatically alert drivers whenever they were 10 miles outside their delivery territory and need to turn around. Automated notifications could reduce dependence on a central dispatcher, allowing the delivery company to use their employees more efficiently. Today, more than 800,000 developers worldwide use Google Maps APIs to create their own applications based on the unique capabilities of Google Maps. With the launch of Google Maps Tracks API and Google Maps Geolocation API, companies can use real-time location-based information to make their operation run more smoothly and efficiently. If you are interested in purchasing either of these new products please contact our sales team. Editors note: Today’s guest blogger is Mr. Jungil Lee from Dong-A Pharmaceuticals. Dong-A Pharmaceuticals is one of many local businesses featured at Korea’s Geospatial Expo in Seoul. This event puts the spotlight on Korea’s growing geospatial technology sector and the businesses that are embracing maps and mobile work solutions to work smarter. Being mobile is critical when you work in a mobile sales force, but prior to moving to the Mobile Smart Office and Google Maps API, our sales team faced some major challenges to being genuinely mobile. With only desktop PCs, our fleet of 1,000 sales staff had to look up hospital and clinic locations and check client records before heading out on the road. With each staff member making between 10 and 20 client visits per day, this meant lots of trips to the office to update records and look-up upcoming client locations. To improve this process and place location and client information into the hands of staff where and when they need it, we decided to upgrade to the Mobile Smart Office in March 2012. A genuinely mobile sales support system, the Mobile Smart Office is a mobile application suite comprising of 10 apps on an iPad.Using Google Maps API, we integrated two apps, including the Mobile Sales Navigation app with Google Maps. Staff now use the Mobile Sales Navigation app to map out routes to multiple clients and add appointments to the system as they’re on the road throughout the day. It’s no exaggeration to say that Google Maps is at the heart of Dong-A’s Mobile Smart Office and is indispensable for our field staff. It’s not only increased our team’s overall productivity, but has given staff the autonomy to choose the best routes and client schedules for them. Editors note: Today’s guest blogger is Mr. Junghoon Lee from Bitro. Bitro is one of many local businesses featured at Korea’s Geospatial Expo in Seoul. This event puts the spotlight on Korea’s growing geospatial technology sector and the businesses that are embracing maps and mobile work solutions to work smarter. Losing cell phone reception is annoying. Not having the situation rectified quickly is even more annoying. The cellular and wireless network testing software that we make works to prevent cell network outages and to get you re-connected fast when they happen. We sell this technology to telecommunications companies who deploy mobile workers to conduct testing and respond to incidents. For them, it’s essential that they can map and track the locations of incidents and their workers in the field quickly and easily. IDC estimates that by 2015 there will be 1.3 billion mobile workers worldwide. That’s a lot of people and businesses that will need reliable and real-time mobile and location-sharing solutions. As a fast expanding business with increasing numbers of international customers, we wanted a mapping API that had global coverage and was recognised internationally. Prior to moving to integrating the Google Maps API into our smartphone-based software in late 2011, we used local mapping software that limited our competitiveness in markets like North America and Europe. After researching the options we found that only Google had a truly global map service that could support the multiple smartphone, tablet and browser platforms that our customers require. A versatile and affordable option, it’s been a smooth transition to Google Maps – it’s both intuitive for our customers and flexible for our developers. For IT service providers and channel tools developers looking for a way to scale their businesses, we built a new Reseller API to let you integrate and automate components of the Google Apps reseller tools into your own customer and sales systems. 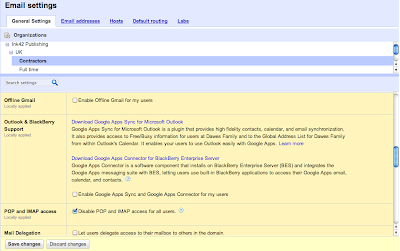 This new API supports Google Apps for Business, Google Drive storage, and Google Apps Vault. For example, Megazone, a Korean-based domain and hosting provider, implemented the Reseller API as part of their existing domain name purchase process to make it easier for their web-based customers to sign up for Google Apps. If a customer opts-in for a Google Apps trial, they’re automatically set up in Megazone’s reseller console with a trial subscription. The customer can then sign in and start using Google Apps right away. 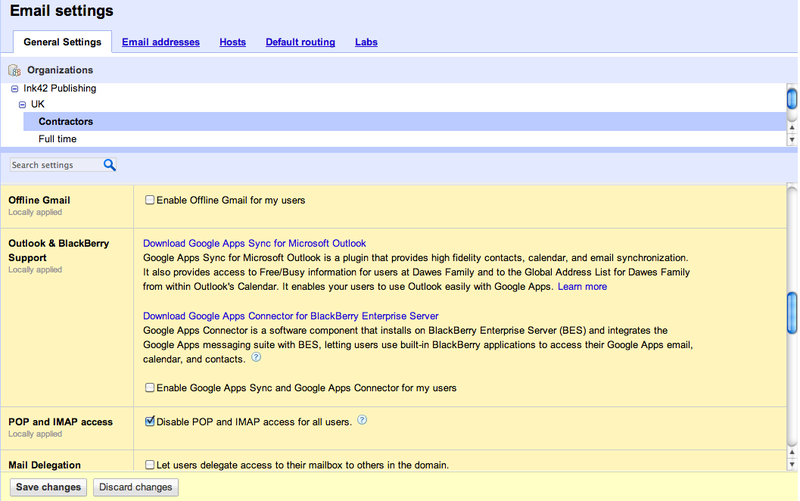 This is a more scalable and easier way for customers to sign up for Google Apps through Megazone. To learn more about the Reseller API, visit the Developer’s Guide in the Google APIs Console. Editors note: Today’s guest blogger is Aleem Mawani, co-founder of Streak, a startup alum of Y Combinator, a Silicon Valley incubator. Streak is a CRM tool built into Gmail. Aleem shares why Streak chose Google Cloud Platform to run their business. Everyone relies on email to get work done – yet most people use separate applications from their email to help them with various business processes. Streak fixes this problem by letting you do sales, hiring, fundraising, bug tracking, product development, deal flow, project management and almost any other business process right inside Gmail. We decided to build Streak on Google Cloud Platform to operate at scale, to understand our users and improve the application over time, and to rapidly grow our business. We chose to build Streak with Google App Engine for many reasons: it can handle tons of load; it requires no maintenance; and it guarantees 99.95% uptime. Streak’s user base grew 30% week over week for 4 consecutive months after launch. Being able to handle the load and data requirements at our scale would have required us to hire a full team of backend engineers just to keep the application running. Instead, the Streak backend on App Engine is built and maintained by a single engineer. All of our data is stored in the App Engine Datastore, but we also mirror our data using Google Cloud Storage. As a result, Cloud Storage is a conduit to route this data to other Google cloud services, such as BigQuery and the Prediction API. How much does the average request cost broken down by type? How many users are running an old version of Streak? Are there currently any abnormal error rates in our application? On average, if a user is working in a 3 person team, how many deals do they have assigned to them? We bundle the insights gained from BigQuery and use it to power our dashboards with key business metrics. When we first launched our business, we had gigabytes worth of data. Now, we anticipate growing to terabytes of data in just a few months. We couldn’t have scaled this easily without Google Cloud Platform. To learn more, check out our case study and our post on the App Engine blog for a detailed technical explaination. Every day, Google helps people find the information they need, when they need it. When you need to know which spices make for a great butternut squash soup, typing just a few words into Google yields the answer in a fraction of a second. In the workplace, people’s needs and expectations for search are similar. You might be searching for last quarter’s sales goals, product launch materials or your colleague’s telephone number – but there isn’t one simple search box to help you find all the information you need. When 60 percent of corporate workers say that it’s hard to find information within their organization1, something needs to change. Ten years ago, Google introduced a bright yellow “Google in a box” for enterprises, giving them one simple way to search all content within their organization. 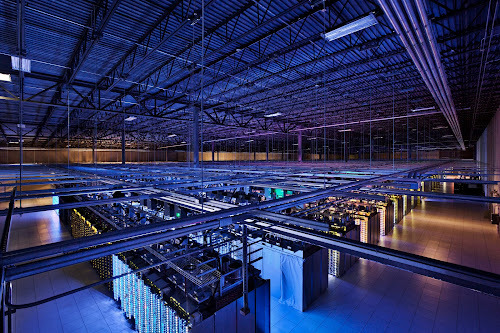 Today we are adding new capabilities for Google Search Appliance customers. GSA 7.0 delivers a universal, powerfully relevant, yet simple and familiar search experience to your users. The GSA 7.0 helps you find information stored anywhere in your organization, whether you’re using a desktop, smartphone or tablet. Administrators can easily add content sources from secure storage, cloud services or the public web and social networking sites. GSA 7.0 also provides Google-quality search for SharePoint 2010, making for a more simple and intuitive, all-in-one search experience. Users are happy when they get relevant results returned quickly. At Google, speed and relevance are the core components of a great search experience. With GSA 7.0, we’ve refined our relevance signals so that the most useful information for each particular user is always easy to find. 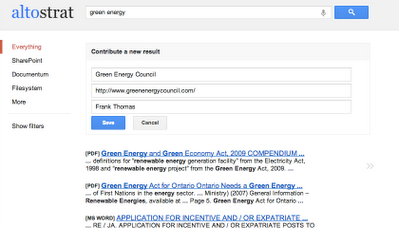 Assisted navigation makes it easy to refine search results, and requires no manual configuration from administrators. Entity Recognition automatically identifies and suggests content you might be looking for, and GSA 7.0 also harnesses the “wisdom of crowds,” allowing employees to add their own search results. Document preview - view thumbnails and flip through full-screen document previews right alongside search results. 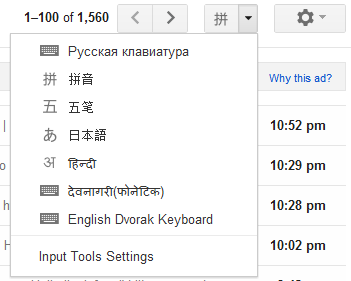 Google Translate - secure and automatic translations display in search results, in more than 60 languages. Updated language capabilities - including parsing the complex morphology of Arabic, Chinese, Japanese and Korean to improve results. Expert search - tap into your organization’s knowledge graph, and instantly collaborate with colleagues who have answers. New interface - a more beautiful search experience rolling out with the GSA 7 series. Improved scale - a single rack of GSAs could now fit the equivalent of the entire Google.com index in 2000 – 1 billion pages. Search should help your users, not become a source of frustration - especially as the volume of corporate content grows. GSA 7.0 provides a tool that will meet your users’ expectations for relevant and universal search, no matter where they are. For more information about the Google Search Appliance and to contact our sales team, visit our website. Google Apps delivers a stream of innovation that brings new features to end users. That same innovation also applies to our Apps administrators. In the past 3 months, admins have gained a number of new capabilities in the control panel, including the ability to search email logs, manage mobile devices more easily, and manage email delivery. Today, Apps admins have another new capability to support the needs of different user groups in their business or organization. 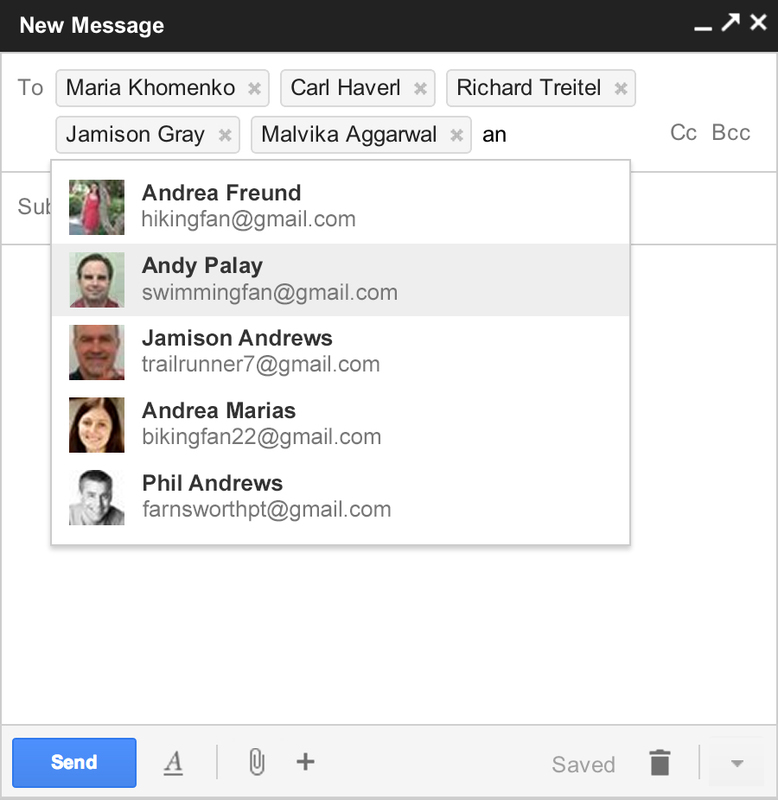 Email settings can now be applied to groups of users, known as organizational units, or OUs. Examples of these email settings include: IMAP & POP access to Gmail, offline access, email forwarding, email footers and many more. Applying email management settings to user groups helps Apps administrators tailor the use of Gmail within their organization. It’s especially beneficial for organizations that have user segments with different compliance or security needs, such as allowing IMAP access to a specific group of users. Like all the features that Google Apps delivers, administrators just need to refresh their browser to get access to these updates. For more information on email settings for organizational units, please visit our Help Center. Business is moving to the web. The web allows organizations of all sizes to get stuff done from anywhere, and work better together. The Chrome browser helps businesses get onto the web securely and quickly – and today, we’re adding phone and email support for Chrome for Google Apps customers. Moving forward, Google Apps for Business, Education and Government customers may contact Google via phone or email to receive support on Chrome installation, functionality, security, browser policy settings and Google Apps interoperability for Windows, Mac OS X and Linux. With Chrome you can securely sync your bookmarks, apps, settings and open tabs across devices – useful for the 98% of us who move between screens throughout our day. Google Apps also work great with Chrome, as features like offline document editing, desktop notifications and homescreen apps are currently only available in Chrome. If your organization uses a legacy app that isn’t compatible with Chrome, we suggest adopting a dual-browser strategy. The costs of using an old browser can range from reduced speed and feature gaps to exposure to critical security holes – far greater than the costs of supporting a second browser. Editor’s note: For Apps organizations running Windows, download the Microsoft Installer version of Chrome and centrally configure and deploy it to your employees. For organizations that support multiple operating systems, users or IT can download the Chrome client directly. Join us for a Google+ Hangout on Air on Wednesday, October 3 at 11am PDT (2pm EDT) to review new Chrome features and deployment practices for Google Apps customers. Go to the Google+ Your Business page at the start time and you’ll be tuned in. We know you have a lot of data to work with within your organization, which can present big challenges. Your data can be large in volume and complex in structure. For example, large-scale web applications have millions of users, documents and events to manage. As a result, many engineering teams choose highly scalable NoSQL databases over relational databases. Though this approach is effective in storing and retrieving data, it poses challenges for interactive data analysis. Support for JSON: JSON is used to power most modern websites, is a native format for many NoSQL databases hosting large scale web applications, and is used as the primary data format in many REST APIs. With this update, it’s now possible to import data formatted in JSON directly to BigQuery without the hassle of writing extra code to convert the data format. Nested and Repeated Fields: If you’re using App Engine Datastore or other NoSQL databases, it’s likely you’re taking advantage of nested and repeated data in your data model. For example, a customer data entity might have multiple accounts, each storing a list of invoices. Now, instead of having to flatten that data, you can keep your data in a hierarchical format when you import to BigQuery. To learn more about how Google BigQuery can help you gain insights from your data in the cloud, click here to sign up. Editors note: To celebrate National Coffee Day, today’s guest blogger is Mike Hudson, Creative Director of Handsome Coffee Roasters, an artisan coffee company headquartered in Los Angeles, CA. 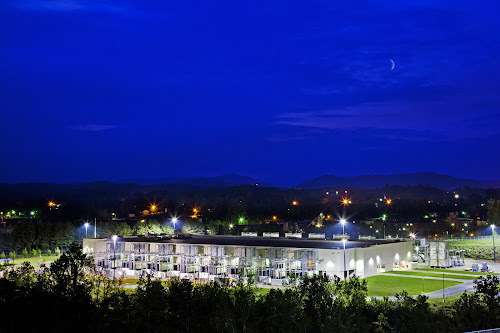 See what another coffee company that has gone Google has to say. I have a passion for coffee – a passion so strong that, while working at a digital marketing agency, I spent my weekends working part-time as a barista at a legendary coffee shop in Los Angeles. It was there that a few co-workers and I sat down and hatched a plucky business plan: to roast our own coffee. In 2011, with little more than our gumption, a Twitter handle, a webpage, and 1956 Ford Falcon van that carried a mobile coffee cart we aptly named the Handsome Traveler, Handsome Coffee Roasters was born. We took the Handsome Traveler to big events and festivals in Los Angeles, and began to cultivate a large and dedicated following along the way. And we grew with them: in just one year, our company went from the original founders to 18 full-time employees. We recently opened our flagship retail coffee bar in the Arts District of downtown Los Angeles, and have plans to expand to New York City next year. Put simply, we couldn't have grown this quickly without Google Apps for Business. We’re small but global – we have a coffee bar in Los Angeles and a travel schedule that takes us to Nicaragua, Norway and everywhere in between, and Google Apps is a tool that caters to our on-the-move team. With Google Apps, we know we can share travel and employee schedules with Google Calendar, communicate across time zones with Google Chat, and access our permits, notes and updated sales figures from Google Drive. We can do everything on the go, from any device, whenever we need to. We even hold rigorous strategy sessions on Google+ Hangouts with various participants playing along on their mobiles. Starting a business couldn’t be any easier with Google Apps. We can manage a Herculean amount of data, documents and communications without getting bogged down and wasting hours fiddling with antiquated technology. Thanks to Google's tools, we get to focus on what we really love: roasting and serving amazing coffee.